Are you aware that according to the demographic statistics of the United States, approximately 70 million Americans will be at the age of 65 years and over by 2030? No, it’s not your imagination that nursing homes have been sprouting up at a steady pace to keep up with present and future needs. People incorrectly classify medical waste generated by nursing homes as home-generated or household medical waste – which has non-regulated procedures for disposal. However, most states classify nursing homes as an institution providing healthcare to the community, and therefore are required to meet the requirements of both state and federal laws in the disposal of medical waste. 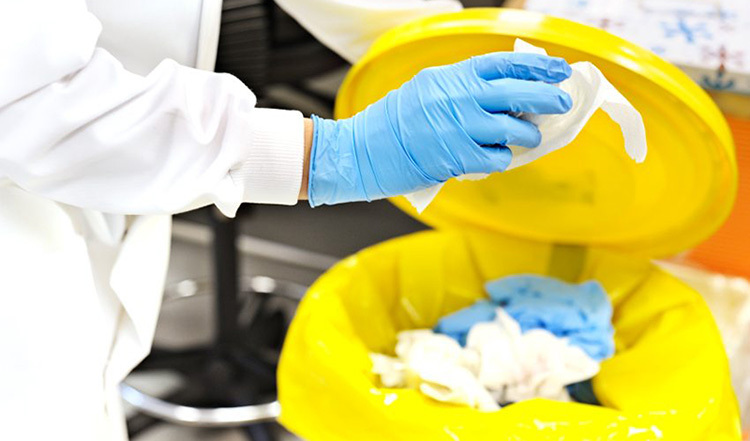 Regulated Medical Waste (bio-hazardous waste) is defined as medical waste that contains blood, bodily fluids or other infectious material that risk contaminating other objects and the wider community. STEP ONE of course every nursing home and any medical facility need to have a proper medical waste management program in place. This may lower the amount and costs of medical waste generated at the facility. It is important to clearly indicate to staff and residents the correct items that are suitable for recycling and for medical waste. As any recyclable items having come into contact with regulated medical waste materials must be treated and disposed of properly. Sharps (inclusive of needles, syringes, lancelets, etc.) must be put in metal containers with a secure lid, or a ‘sharps’ container, which as the name hints, is a container suitable for such type of material. These containers must be placed in a secure area. It is needed that medical gloves, bandages, sheets, etc. to be secured in a plastic bag. It is advised to nursing homes to speak to their medical waste service providers so as to provide the use of clean and reusable containers to the facility. STEP THREE Nursing homes are required to employ the use of medical waste transporters or haulers to properly transport and dispose of regulated medical waste. The haulers firstly will deliver properly packaged medical waste to treatment facilities and then will be transported to a disposal site. Nursing homes not only have a liability to the elderly and others which need healthcare assistance, but they have a responsibility to their staff and the wider community by ensuring that a proper medical waste management program is in place. By following the above-mentioned steps, a nursing home can see a reduction in medical waste disposal costs and a decrease to risks of infection. STEP FOUR Call Glycon to consult about your medical waste disposal in Glendale and all other areas in Southern and Central California.